Asthma is a chronic disorder characterized by attacks of reversible narrowing of the airways that limits the flow of air. The main problem in asthma lies in the bronchi, the two tubes that branch from the trachea (windpipe) to carry air to each of the lungs, and the smaller bronchioles which constrict in response to certain irritants. This is the reason that asthma is known as bronchial asthma. The airways are hyper-responsive due to an immune sensitivity and the reaction to allergens are a combination of swelling, excess mucus and contraction of the muscles of the airways. 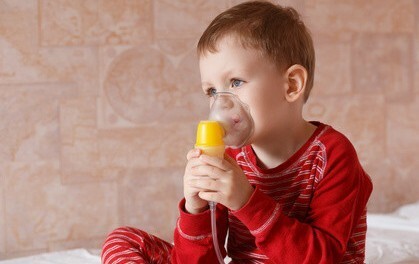 Asthma is the most common chronic condition seen in children and is more frequently seen in males. It accounts for some 250,000 deaths worldwide but with proper management and immediate treatment in acute exacerbations, asthma is unlikely to be fatal. Asthma has been on the rise globally highlighting the environmental contributor to this airway disease. More than half the cases of childhood asthma resolve significantly or even completely by late adolescence or early childhood. These reactions causes the bronchial lumen to narrow and restricts the flow of air through the bronchi. Read more on common asthma triggers. What is the process behind asthma? The process behind atopic asthma is well understood. In the allergic constitution, the body produces large amounts of IgE antibodies in response to certain allergens. This immune mechanism is intended to be one of the protective measures but in allergic people, it is an abnormal reaction to an otherwise harmless substance. These antibodies attach to mast cells, a type of immune cell, in the tissue spaces of the bronchi and bronchioles. When the trigger allergens are inhaled and make contact with the attached antibodies, the mast cells then release a series of immune mediators (chemicals) like histamine and bradykinin. However, this should not downplay the role of other cells like the eosinophils, macrophages and T-lymphocytes as well various cytokines. Atopic asthma. The most common type of asthma due to immune-mediated hypersensitivity as discussed above. Typically starts in childhood and triggered by allergens such as pollen, dust, animal hair and certain foods. There is usually a strong family history of asthma. Non-atopic asthma. Related to viral respiratory tract infections and air pollution which causes hyperirritability of the bronchial tree. Not commonly associated with a family history. 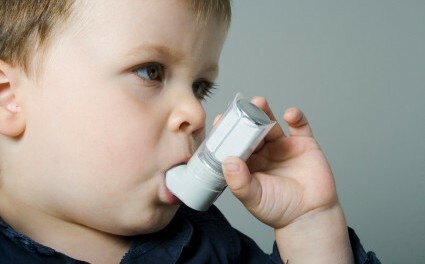 Drug-induced asthma. Caused by the use of certain drugs, particularly aspirin (aspirin-sensitive asthma) and other NSAIDs. Sometimes arises in the backdrop of another type of asthma which may have gone by unnoticed. Occupational asthma. May be immune or non-immune mediated and triggered by exposure to gases, fumes, organic and non-organic dusts and various other chemicals which act as irritants. May also be related to an exacerbation of other types of asthma, like atopic asthma. 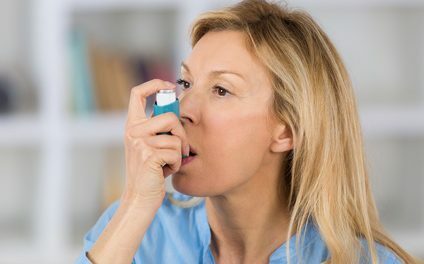 Exercise-induced asthma. This is seen as a variant of certain types of asthma where the condition is exacerbated by asthma. Although seen with atopic asthma or atopy not involving the lungs (allergic rhinitis or allergic dermatitis), it may also be seen in healthy patients with no history of lung disease. Asthmatic bronchitis is a coexistence of the the two obstructive pulmonary diseases asthma and bronchitis. Environmental allergens like pollen, dust, animal hair, certain foods. Airborne irritants like smoke, insecticide sprays, paint fumes. Occupational exposure to gases, fumes, organic and non-organic dusts and other chemicals. Gastroesophageal reflux disease (GERD) is a prominent component of asthma that has been receiving more attention in recent years. Aspiration of the gastric contents may irritate the airways and contribute to an ongoing cycle of hypersensitivity. About 3 out of 4 patients with asthma have GERD and asthmatic adults without a history of allergies, occupational triggers or ongoing exposure to irritants like cigarette smoke should be investigated for GERD. Read more on asthma and sulfites. Despite the often severe nature of acute asthmatic attacks, many asthmatics may have little or no symptoms for prolonged periods of time. This contradicts the typical picture that many have of the wheezing asthmatic clutching at a bronchodilator pump as sometimes portrayed in the media. Very mild bronchoconstriction may go by unnoticed or patients may complain of a “heavy chest” or “chest tightness” without any prominent difficulty in breathing and the absence of abnormal breathing sounds like wheezing. These sensations may precede the rapid onset of an acute attack. Typically, asthmatic patients are practically asymptomatic between attacks. This often creates a false sense of security and leads some patients to discontinue prophylactic (preventative) medication, especially well controlled cases. In the cough-variant subtype of asthma, patients may only report a persistent cough with no other symptoms present. This can be unrelated to any trigger factors and this can be misleading thereby delaying proper diagnosis. At times an attack can be preceded by upper respiratory symptoms like a runny nose and sneezing, often viral or allergic in nature. Patients may also report a history of sinusitis, sinus headache and disturbances with the sense of smell or even a loss of smell (asomnia). The word ‘attack’ may sometimes be misleading as it infers a severe state of sudden onset. Therefore the term episode is preferred as it encompasses the acute exacerbations seen in mild cases. With mild episodes, patients may report some discomfort, only exhibit breathlessness after physical activity and a wheeze may only be audible at the end of expiration upon auscultation (listening to the breathing sounds with a stethoscope). There is usually a slight increase in the breathing rate, but this may not be tachypnea (abnormally rapid breathing). In these type of episodes, the signs and symptoms are more prominent and often characteristic of what is thought of as an asthma attack. There is breathlessness that is pronounced after talking and even light physical activity. Patients may report a discomfort in breathing when lying down. A clearly audible and often loud expiratory wheeze can be heard with rapid breathing (tachypnea : breathing rate > 20 breaths per minute) evident. Some other signs of respiratory distress may be evident like flaring nostrils and labored breathing requiring the use of accessory respiratory muscles (retraction). Clinical investigation may reveal a rapid heart rate (tachypnea) and pulsus paradoxus (sudden fall in systolic blood pressure during inspiration). The breathlessness in these episodes are so severe that it is present even at rest and inhibits the patient from sitting upright, talking in full sentences or even eating. Patients are usually agitated. Tachypnea is severe with greater than 30 breaths per minutes. An inspiratory and expiratory wheeze (biphasic) is clearly audible and loud. Signs of respiratory distress mentioned above are much more prominent. Tachycardia is present and pulsus pardoxus is prominent. Read more on status asthmaticus.